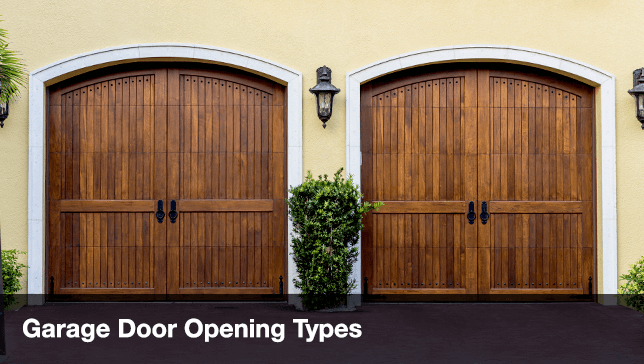 Choosing the right garage door opening and closing mechanisms will benefit your home’s aesthetic appeal and function. 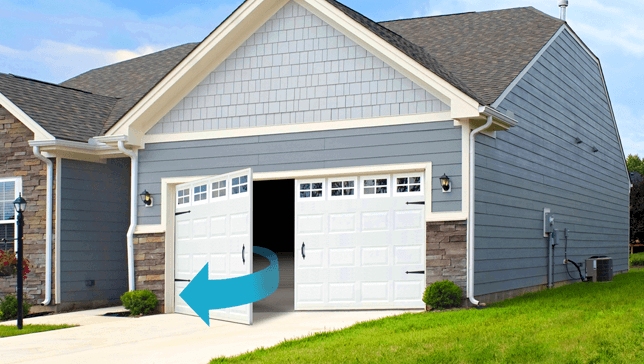 These popular garage doors roll straight up and in, so there is no need for door clearance outside the garage. The door’s four sections slide through channels attached to the doorframe, steadying the door itself. This type of garage door can be opened by hand. This door opens outwards, with a central timber or steel sub frame. Wood is a suitable material for this door type, including steel, polyester and UPVC. 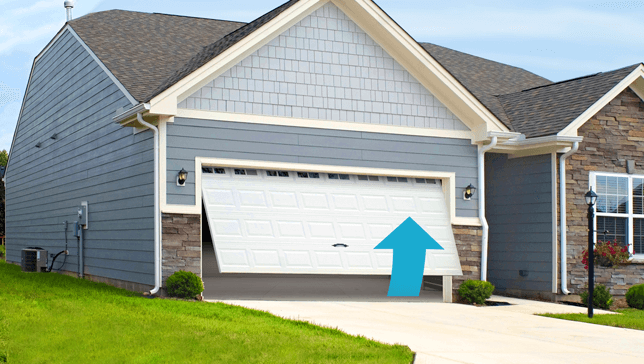 This is the most widely popular garage door. Made of one panel, it opens up and towards the back, operating on a pivoting hinge mechanism. When fully opened, the base of the door protrudes outward (creating the “canopy”), so make sure there is nothing to obstruct it. This type of door can be opened by hand. If you do choose this type of garage door, you must mount photoelectric and pressure-sensitive sensors on the bottom of the door. Sensors like these detect obstructions and reverse the door if necessary. This regulation was put in place by the Consumer Product Safety Commission in 1993 to prevent injury or death from garage door accidents. Operates similarly to a tilt-up canopy door, with a significant difference. It retracts completely inside the garage, so no outside clearance is needed. It operates on a framework independent of the doorframe, so it does require more space than a traditional canopy door. The kind of garage door opener you need depends not only on the type of door you have, but your lifestyle. 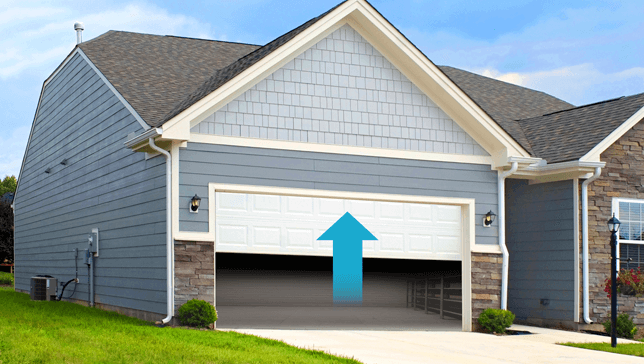 Noise sensitivity, number of cars, and door weight are all factors to consider before choosing a garage door opener. 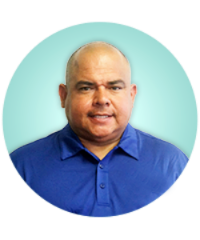 If your garage door is beneath or near your bedroom, then you may want to invest in a quieter drive mechanism. 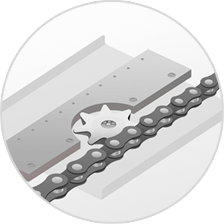 Belt drives are typically quieter than chain drives. They usually come with a lifetime warranty, but may cost a bit more. Longevity is average. If you have a larger than average door or a door made of heavy material such as wood, then a chain drive opener may be the one for you. Chain drive openers are rugged and reliable, requiring little maintenance. Some chain drive openers also come with a backup battery, which can be a huge benefit in the event of a power outage. 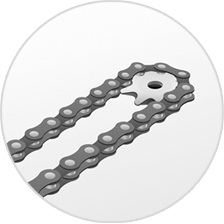 Chain drives, on average, have better longevity than belt drives. 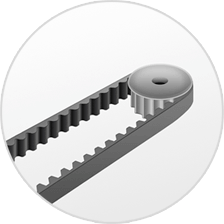 Belt drives are prone to snapping or breaking apart over time. A chain drive, on the other hand, is virtually guaranteed never to break. Direct drive openers are quickly gaining a reputation as the best, most technologically advanced garage door opener available today. Other openers operate with a stationary motor that pulls a chain or belt. With a direct drive opener, the motor moves along a stationary chain, providing virtually silent operation. This kind of opener is good for families with infant children or pets sensitive to noise. 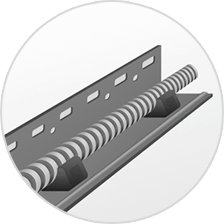 Screw drive openers operate on a trolley, riding on a threaded-steel rod. 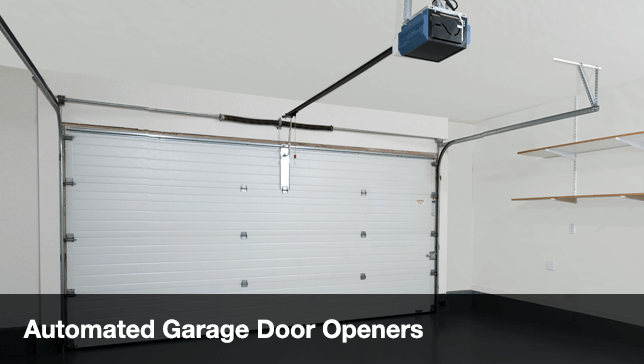 As the rod turns, the lifting mechanism travels along, raising or lowering the garage door. Unlike chain and belt drive openers, it doesn’t work by pushing or pulling. This type of garage door opener is good for wide or heavy doors. The noise level on this machine is medium, not quite as noisy as a chain drive, but not as quiet as a direct drive opener. For most garage doors, a ½ horsepower motor should be enough. 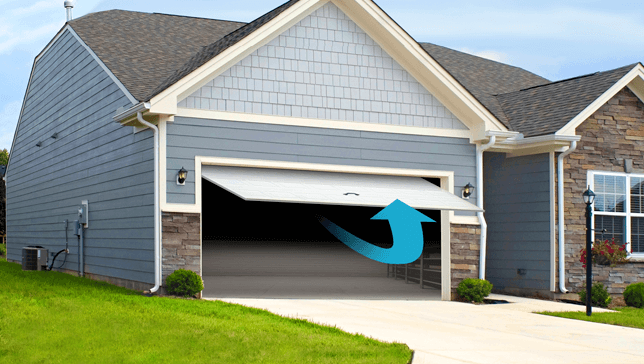 For larger doors, one-piece models, or doors made of heavier materials (wood, composite wood, etc), a ¾ horsepower garage door opener is recommended. Doors with heavy insulation will also need a ¾ or 1 HP opener. 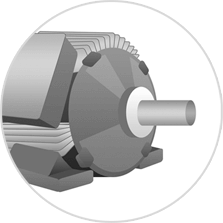 For lighter doors, a ⅓ HP motor should be sufficient. Garage door speeds are measured in inches per second. 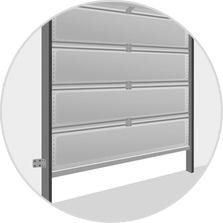 Most garage doors raise and lower at a rate of 5-7 inches per second, with slower ones operating at 7-10 inches per second. 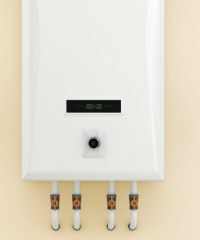 Here is a helpful Water Heater Buying Guide to help you make an informed purchasing decision!